Tonight (Thursday, July 25, 2002) ABC will broadcast the Eddie Murphy cop thriller Metro at 9 p.m. PST. If you look carefully, five minutes into the film, you will see Fanboy Planet editor Michael Goodson in his movie debut. 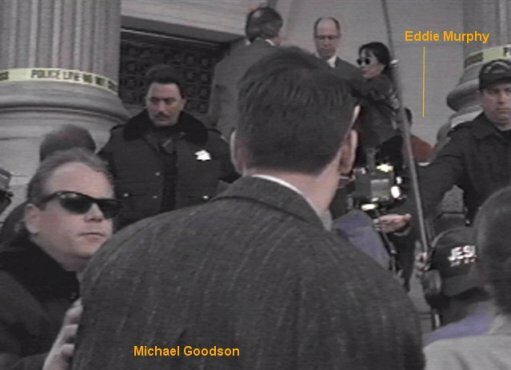 Originally a lead in the film, Michael's charisma was so threatening to Eddie that his part was cut down to no lines and just a quick shot of the back of his head. To this day, Michael refuses to see The Adventures of Pluto Nash out of protest.